- Faith Binckes, '"We live in a world of Art Historians: they do funny things": Framing "Old Vort"', 4-27. - Robert Bond, 'Vortex Out of German London', 28-66. - Arlene Leis, 'Post-Bombing and Blasting: The 1920 Group X Exhbition Catalogue', 67-92. - Philip Head, 'The Transfiguration of "Russian" Lewis', 93-122. - Emmett Stinson, 'The Vortex as Ontology in The Apes of God: Self-Reflexive Satire and Apophaticism', 123-42. - Rosalind McKever, '"The Present is Art": Vorticist and Futurist Temporalities', 143-69. 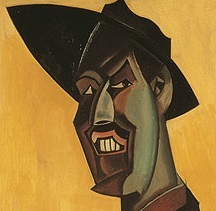 - Mick Durman and Alan Munton, 'Picasso & Modern British Art at Tate Britain, London, 15 February - 15 July 2012, and at The Scottish National Gallery of Modern Art, 4 August - 4 November 2012', 170-201. 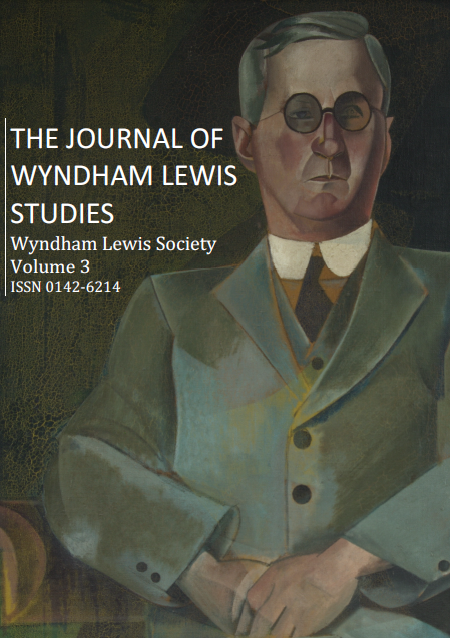 - Andrzej Gasiorek, Review of David A. Wragg, Wyndham Lewis and the Philosophy of Art in Early Modernist Britain (2005), 202-11. - Jeremy Diaper, Review of Jason Harding (ed. ), T. S. Eliot in Context (2011), 212-14.